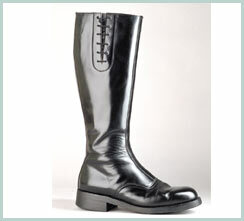 Nick’s OPP Boot – Black high shine police grade leather. Fully leather lined. All sole options available, Vibram styles or leather. Spacers available. Elasticized laces. Priced from $525 Cdn. 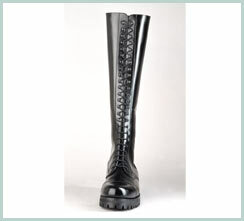 Nick’s Patrol Boot – Black, brown or burgundy calf leather. Fully leather Lined. All sole options available, Vibram styles or leather. Elasticized laces. Spacers available. 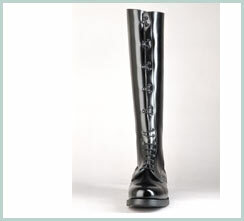 Choice of lace up top or buckles as per pictures. Priced From $750 Cdn. 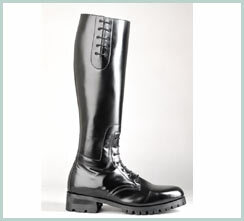 Nick’s Providence Boot – Black high shine police grade leather. Fully leather Lined. All sole options available, Vibram styles or leather. Hook & Eye Elasticized lacing. Spacers available. Priced from $525 Cdn. 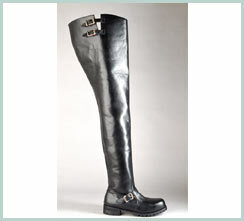 Nick’s Thigh High Boot – Black high shine police grade leather or black/brown oiled leather. Fully leather lined. All sole options available, Vibram styles or leather. Spacers available. 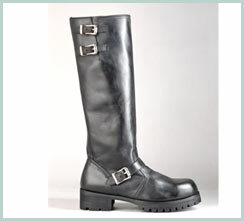 Choice of chrome or brass buckles. All heights available. 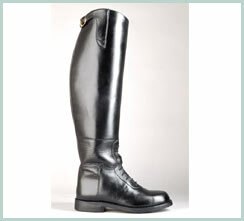 Priced from $1100.00 Cdn. 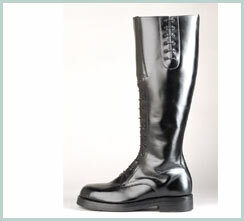 18″ Engineer Boot – Black/dark brown oiled leather or black high shine Police grade leather. Fully leather lined. 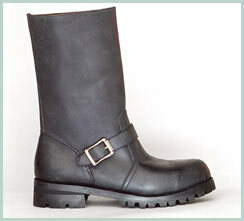 All sole options available, Vibram styles or leather. Spacers available. 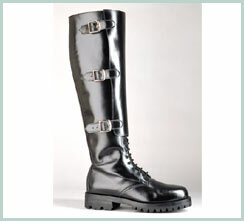 Choice of chrome or brass buckles. Priced from $500 Cdn.